Luis Flores's Upcoming Gigs Sat 14 May, 16 Trommel, District , Liverpool, United Kingdom Powered by GigaTools Sound> Classifying Flores’s sound is a difficult feat, and that is precisely the point. His personality and experience are present in every track he produces, resulting in a dark, groove driven sound. Luis’s interaction with the machine becomes the listeners’ interaction with auditory landscapes of eeriness, altered states and paranoia. A minimal use of elements results in a rich spectrum of textures and a dark and trippy dance floor pull. Live shows, improvisational in nature, can last anywhere from 2- 5 hours, resulting in a hypnotic exploration of the possibilities of electronic production. Bio> In the more than 17 years he has been producing electronic music, Luis Flores has not only made a name for himself but has been at the forefront of a movement that made the city of Guadalajara, Mexico, a hot spot for electronic music production and events. At the center of this movement was Nopal Beat Records, a label he ran from 1998 to 2006. At the same time, he also worked with the city’s cultural bureau to produce a string of massive, free public events that could bring electronic music to a wider group of people and provided a stage for local producers. In 2007, he returned to the studio focused once again in his techno roots which quickly yielded results like his enduring relationship with L.A.’s Droid Behavior or the demand for his live shows. 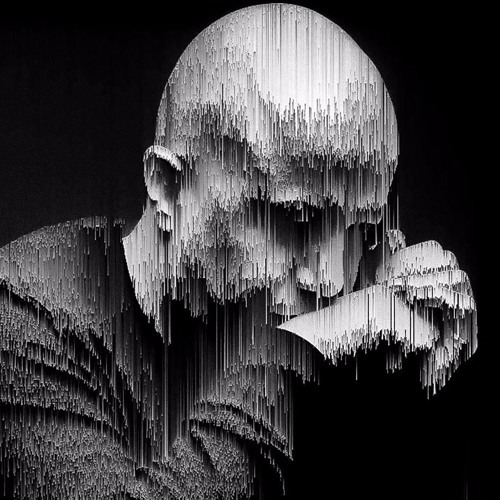 In 2009 the release of the “Damage” EP on Droid Recordings, established Flores as an international artist with its immediate success, making the charts of artists such as Speedy J, The Detroit Grand Pubbahs and Chris Liebing’s Best 10 of 2009. In 2010, Dietrich Schoenemann’s Hidden Agenda released “Pain + Prosthetics”, an EP which among other things includes a collaboration with Canadian: Vitamins 4 U. Flores published “Love Your Machine” under the German imprint Micro.Fon the following year. Further exploring the audiovisual aspect of his music, he created the video teaser for the single using J.G. Ballard’s “Crash” as reference and inspiration. In 2012 he returned to Droid for the release of “New Flesh” which included remixes by label owner Drumcell and CLR’s Brian Sanhaji. This year was also marked by people's interest in his sound with remix requests for legendary names like Jam n Spoon and The Advent. 2013 began with his first collaboration with Berlin based producer Material Object and the release of the “Crowd Control” EP under the Impact Unit moniker for the French label Silent Steps and in 2014 he released “Rituals of Submission” on Detroit’s Blank Code, “Test Pattern” EP in the Spring for CLR and the “Metal” remix for Black Asteroid under EDLX. He began 2015 with the the release of “43” on Alex Bau’s Credo compilation and with his 3rd release for Droid Recordings, the “Static Forces” EP. Luis has represented México at the Meet in Beijing, ADE in Amsterdam, Borderline Festival in China, Brussels BEMF, among others.